When Fall weather arrives, we all enjoy eating a steaming bowl of tasty soup! A perfect time to visit with neighbors you haven't seen for awhile and to learn more about Ardmore Main Street's projects. 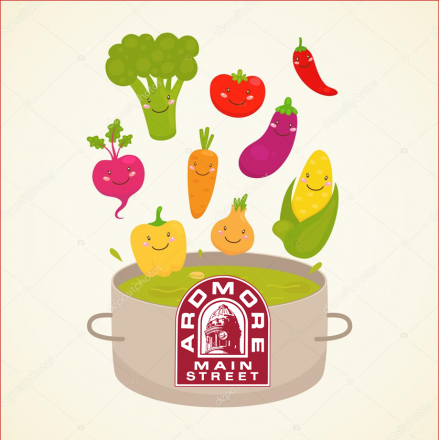 Here's a sample of some of the soups offered last year: Jim Porter's Shrimp Bisque, Betty Parkerson's Italian Sausage Tortellini, Judi Elmore's Stuffed Pepper, D Allen Wint's Corn Chowder, Noble Research Institute's Cajun Crab and Cafe Alley's Tortilla! You also have an opportunity to help the Regional Food Bank by bringing a non-perishable food item to the event as a donation to their shelves.